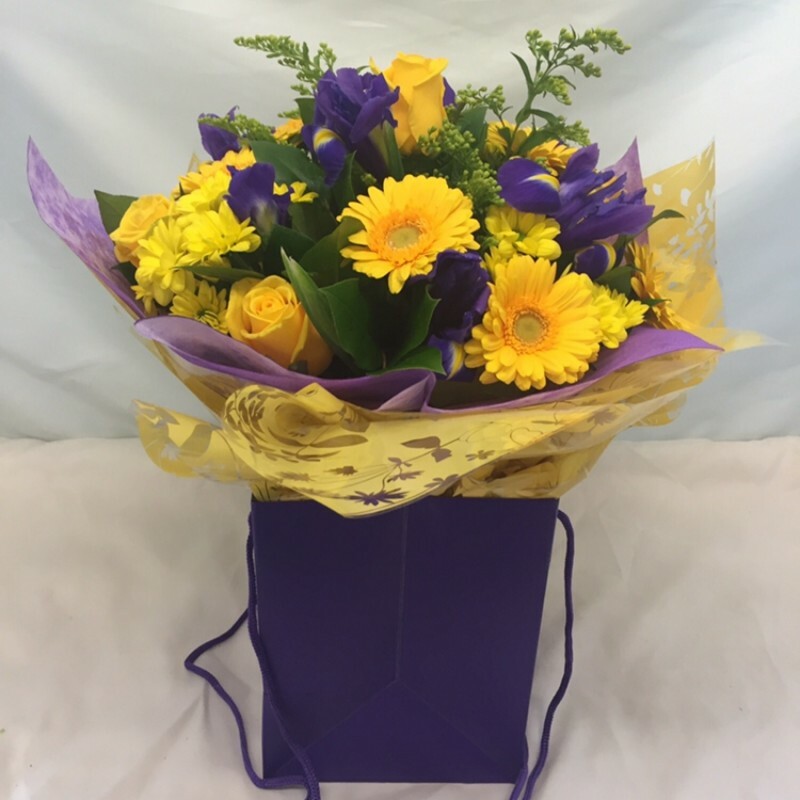 Welcome to Peter Graves Florist. 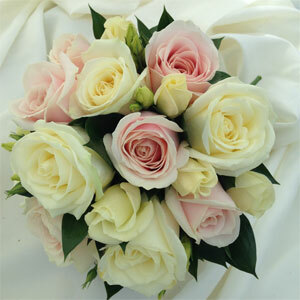 We are Cambridge's longest established family run florist. We have been in business continuously for 60 years. 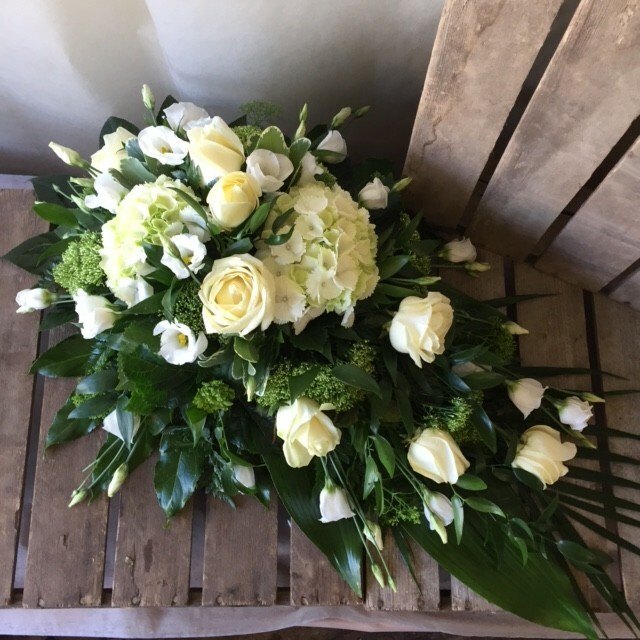 Our skillful team of trained florists can create flowers for any occasion, however large or small , including weddings, funerals, corporate and function flowers, and much more. We are a happy and friendly team and would be pleased to discuss any requirements you may have. We pride ourselves in our service and strive for customer satisfaction. 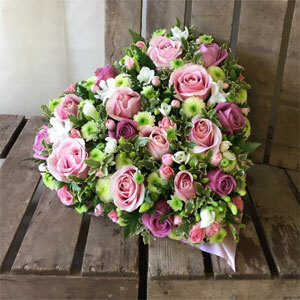 We have an ever changing fresh stock of high quality local and world-wide flowers which enables us to supply flowers in optimum condition for any occasion. 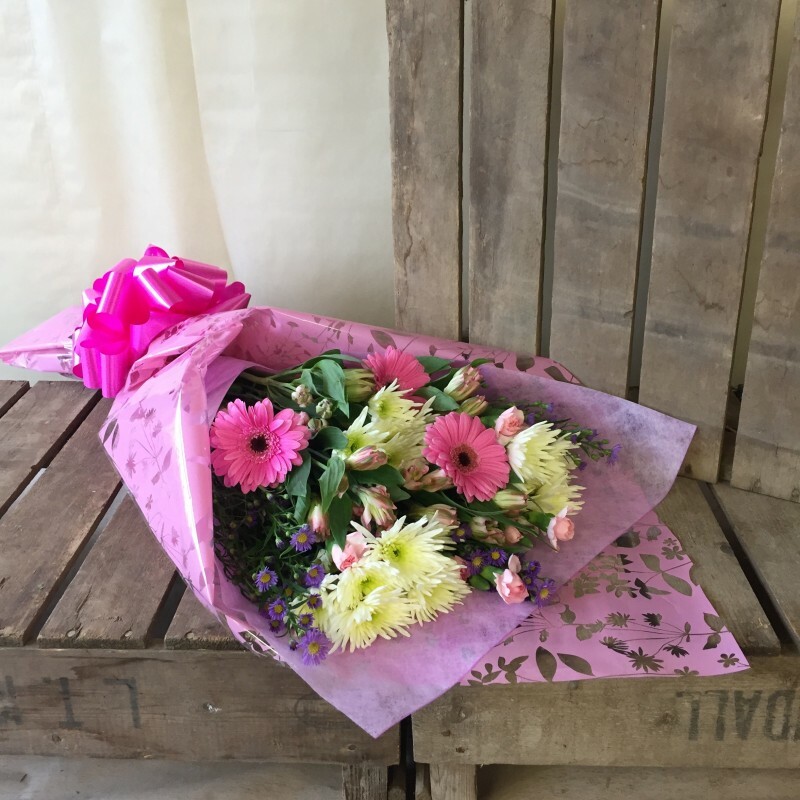 Our shop in Girton welcomes you 6 days a week, for you to buy or order cut flowers, house plants and seasonal outdoor plants. We are happy to show you examples of our work. 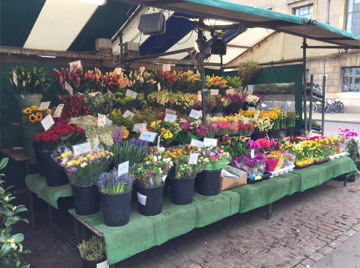 We have also been trading on Cambridge market, opposite Great St. Mary's and Hugo Boss since 1958 and maintain a well-stocked stall of seasonal flowers and plants 6 days a week. 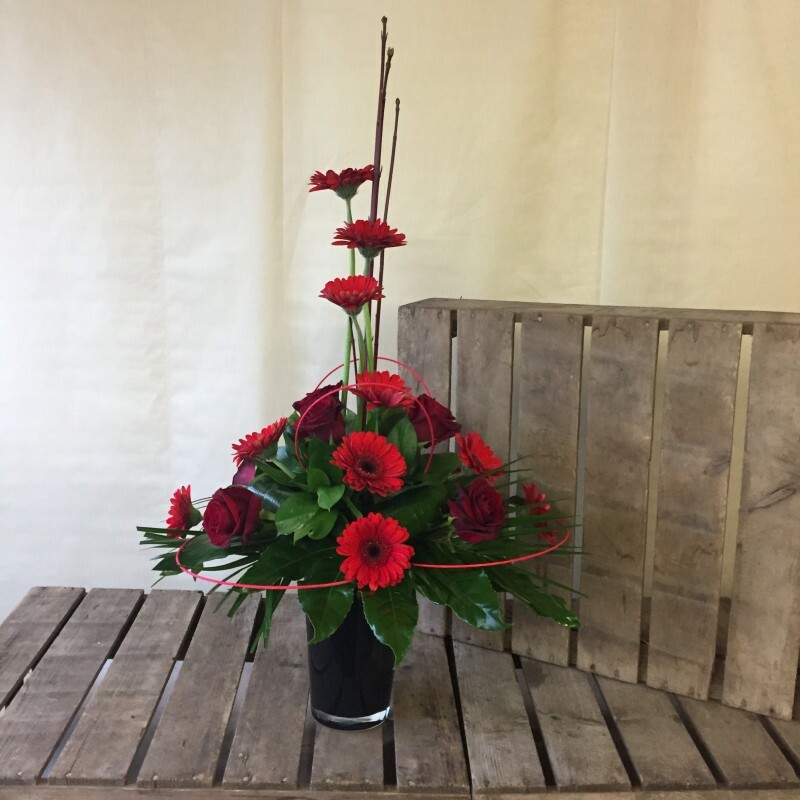 A luxurious arrangement of velvet red roses and red germini, presented in a black glass vase.